Hello Neighbour Videographer in action! 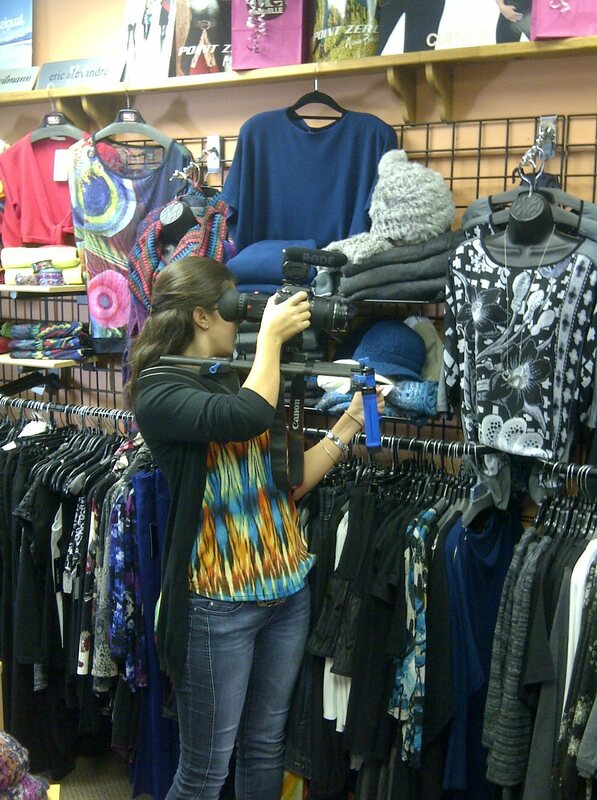 Capturing HelloNeighbour’s videographer doing what she does best at the Moda Elle video shoot! Posted in Photos. Tags: commercial, local, marketing, montreal, quebec, small business, Video Profiles on October 9, 2012 by Webmaster. Helloneighbour.com is now booking appointments for video business profiles! If you are a small local business, and would like a video profile done, feel free to contact us at Helloneighbour. Leave us your name, your e-mail address, and choose the ‘Other’ option under the subject bar. Give us the name of your business as well as a brief description of what it is that you do. We will then proceed to sending you a welcoming package which includes all information necessary to begin! Thank you! Posted in Blog. Tags: advertizing, business, commercials, local, marketing, montreal, profile, Video Profiles on October 1, 2012 by Webmaster.